In 1982 the Academy Award for best picture went to Chariots of Fire. For me, an even better film was Warren Beatty’s epic, Reds, for which he won best director. Fonda and Hepburn were fabulous in On Golden Pond and both got a well deserved Oscar. 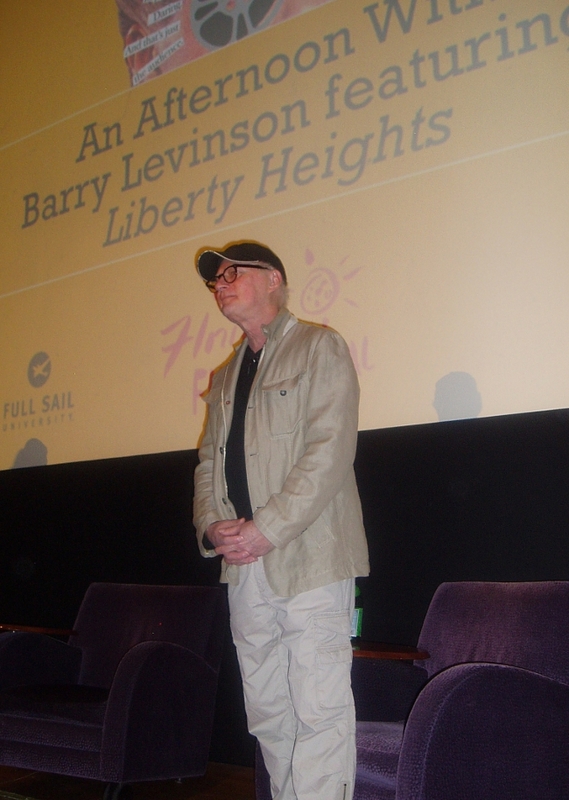 But my favorite film that year was a little slice of life from an unknown writer/director named Barry Levinson. The film was entitled Diner. The audience laughs, claps and cheers. Barry continues for almost an hour. He said that while other filmmakers focus on the larger stuff, he prefers to focus on the minutiae. It’s the small, personal interactions he finds most compelling. Like the scene in Diner where one character wants his friend’s roast beef sandwich. But he’s incapable of outright asking for it. So he asks his friend if he doesn’t want it. This leads to several minutes of dialogue where the friend who has the sandwich tries to get the other friend to just ask for the sandwich. Finally, as they continue to argue, a third friend reaches over and just takes the sandwich. Barry goes on to say that his inspiration for a lot of his writing came from the movie, Marty. He says he doesn’t remember anything about that movie, except the scene when the two friends continually repeat to one another, “What do you want to do tonight?” “I don’t know, what do you want to do?” “I don’t know.” Those are the moments Barry finds most real and most telling about a character. And his movies are filled with them. As for tonight’s movie, Liberty Heights, NumberOneSon and I agree it’s a hidden gem–and quite hilarious. When someone asked Barry why he thought this movie was not as well known as his other films about life in Baltimore in the 50s, he said he thought it was just the unfortunate reality of getting caught in the middle of a studio head change. His film was practically finished, a new studio chief came in and, naturally, the new guy wanted to tout his own projects and not the projects of the guy he just replaced. The story revolves around several teenage Jewish friends growing up in a predominately Jewish suburb of Baltimore. One parent runs an illegal numbers racket. One of the characters becomes friends with a newly segregated black girl. Another falls in love with a girl at a costume party, only to discover her boyfriend might have something to say about that. The movie deals with the themes of anti-Semitism, racial divide, morality and religion. But these weighty themes are mere backdrops for the thing Barry considers the most important–the everyday, routine interactions we have with those around us; those moments of “nothing” that make up the better part of our daily interactions. Liberty Heights is filled with them. There’s the character who will not leave the car when Sinatra is playing on the radio. It’s disrespectful. There’s the Jewish character who decides to dress as Hitler for Halloween and his parents who absolutely won’t allow him to leave the house. There are family meals, the annual purchase of the latest model Cadillac, and, of course, lots of focus on girls. Each scene provides fresh dialogue, great characters and an immersion back into the world of 1954. They’re still doing bomb drills at school. The local swimming hole does not allow Jews, Dogs or Blacks–in that order. And there’s a lengthy conversation about how the order was established and whether or not it’s best to be at the front or back of that list. Barry tells about the time he and some friends went to a James Brown concert in Washington. They got there late and were excited to find that there were still seats. It was only after they hurried into the theatre and sat down that they realized they were the only white people in the entire theatre. Part of that made it into the movie. If you’ve never seen Liberty Heights, be sure to rent it. There’s no glamorous shots of huge vistas or eye popping cinematography, so you can enjoy it on your home TV. 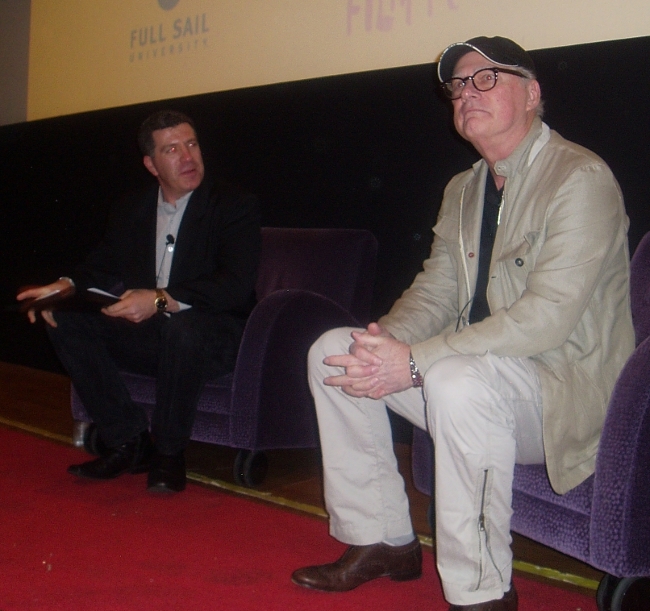 More importantly, if you ever get a chance to meet Barry Levinson or see him live, don’t miss it. You will love him just as you’ll love his films. Oh, and if you don’t know about Barry’s other films, you also might want to check out Rain Man, Good Morning Vietnam, The Natural, Wag the Dog, Bugsy, Avalon, Sleepers…and many more! I wasn’t expecting much from this movie because I wasn’t crazy about Diner (sorry Dad!) but LibertyHeights is very funny and charming. I love a good autobiographical slice-of-life story. This one’s about the warm-and-fuzzy side of desegregation – people from different worlds tentatively connecting with one another. This entry was posted on April 22, 2012 at 8:30 pm and is filed under Art Community. You can follow any responses to this entry through the RSS 2.0 feed. You can leave a response, or trackback from your own site.